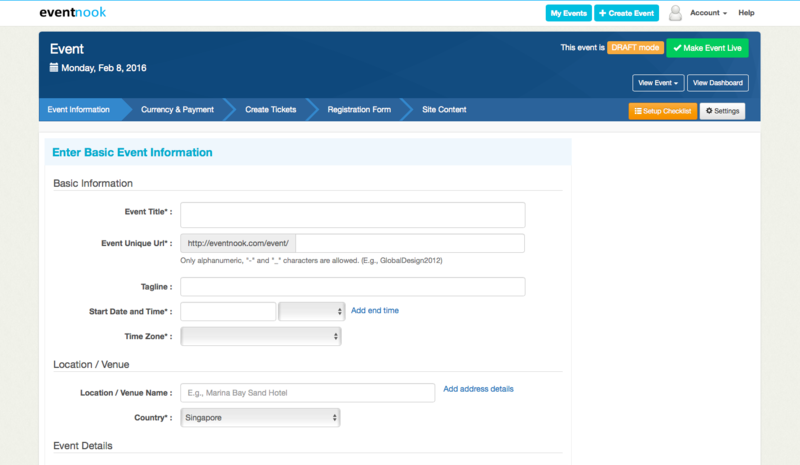 First up, you would need an active account with EventNook. If you do not have an existing account, please sign up here! Things to include would be the Event title, the date and time, location, etc. Under “Events Details”, you can choose to insert any photos or videos as well as include additional details on the event. Note: You can save your changes at any point of setting up the event by clicking “Save Changes” at the bottom of the page.